Choosing the best cat food is simple when you understand the fundamentals of feline nutrition. In this article, you’ll learn how to read ingredient labels like a pro, analyze cat food brands, and select the food that’s right for your cat’s individual needs. Let’s start with a primer on your cat’s natural dietary requirements. Cats are obligate carnivores, which means that they must eat meat to survive. Cats require 22 amino acids to stay healthy, and 11 of them are only available through their food. Two of these essential amino acids are available only from animal proteins. Cats do best on a high protein diet, with 50% or more calories from protein. They require moderate fat concentrations of around 40%, and thrive on extremely low carbohydrate content. How do you know that a specific food is good for your cat? Identifying a great cat food involves reading labels, learning about the brand behind the food, and understanding the different types of cat food. Let’s explore the qualities of the best cat food. The best cat food has minimal carbohydrate content. In nature, cats consume only animal prey. Sometimes the stomach contents, if eaten, contain digested plant matter. This pre-digested plant matter would account for just 1 to 2% of the cat’s diet. This tiny fraction of their diet is all the carbohydrate that your cat requires. You can guess the carbohydrate content by looking at the ingredient list. Ingredients are ordered by weight, so you certainly shouldn’t see corn, wheat, oats, or soy as the first ingredient. It’s important to remember that ingredient splitting can sometimes create a false impression of the food’s carbohydrate content. This is why it’s so important to pay attention to the nutrient breakdown of the food. Currently, carbohydrate content is not printed on the guaranteed analysis of pet food. You can use a carbohydrate calculator like this one to get a rough estimate of the carbohydrate content. The best cat food is rich in high-quality animal protein. We know that cats have a high protein requirement, but it would be a tremendous mistake to overlook the difference between crude protein and digestible protein. Protein exists on a digestibility spectrum rated by biological value. For example, 36g of crude protein from feathers is not equivalent to 36g of crude protein from an egg – they have vastly different biological values. In fact, an egg has a biological value of 100, while the feather is virtually indigestible. Yet both the feather protein and the egg protein look lovely on the guaranteed analysis and lend the impression of a high-quality food capable of nourishing your cat. With so many manufacturers bloating their ingredient lists with plant protein and low-value animal ingredients, the ability to evaluate protein is a critical skill. Digestibility, not percentages in the guaranteed analysis, is the key to measuring the nutritional value of a cat food. But to make things a little more interesting, cat food manufacturers are not required to print digestibility values on the packaging. This gives you two options. The first option is to use your label literacy to evaluate the quality of the food’s protein. Secondly, you may choose to contact the manufacturer and ask about the digestibility of the protein in their products. Animal by-products may be a source of low-quality animal protein. Animal by-products are one of the most misunderstood ingredients in cat food. We’ve responded to the AAFCO definition of byproducts with the same sort of nausea that we might feel if served a platter of these ingredients at a restaurant. And yet, strictly based on the AAFCO definition, these are parts of the animal carcass that your cat would consume in nature, and there’s nothing disgusting about that. It’s the same tendency to want to give our cats “only the best” according to human terms that allows pet food manufacturers to woo consumers with species-inappropriate ingredients like ancient grains, fresh berries, and other types of produce. In reality, digestibility and poor handling are the real concerns. These vaguely-specified ingredients may be produced from any number of animal parts from any number of different animals. Besides not knowing what type of animals contributed to the by-product stew, you don’t know if it contains more wholesome liver or nutritionally void chicken feet. If you want to ensure maximum protein digestibility, avoid meat by-products and other vaguely-named ingredients like “meat”, “poultry”, and “meat and bone meal”. The best cat food doesn’t use plant ingredients to boost protein percentages. If meat was cheap, manufacturers would use large amounts of meat to provide the protein that your cat requires. But in reality, meat isn’t cheap and high-protein plant ingredients are. To maximize the profit margin while satisfying the cat’s requirement for protein, many cat food manufacturers opt for plant protein instead. Cats are obligate carnivores, and it may be pure arrogance for us to believe that we can recreate a perfect facsimile of the nutritional profile found in nature’s nourishment. Until Indoor cats freely decide to stop hunting and eating animals, is it ethical to force them to do something that defies their nature and puts them at risk for nutrient deficiencies? The best cat food keeps your cat hydrated. Our cats’ ancestors were desert dwellers. They lived in arid environments where their prey was often the best source of moisture available. A mouse is about 70% water and a fine source of hydration for a desert cat hours away from the nearest watering hole. Because fresh water was scarce, early wild cats evolved to have low thirst drives and a natural inclination to get their water from the moisture-rich bodies of their prey. This means that they typically don’t drink enough water to compensate for a moisture-depleted dry food. The best cat food is free from carrageenan. 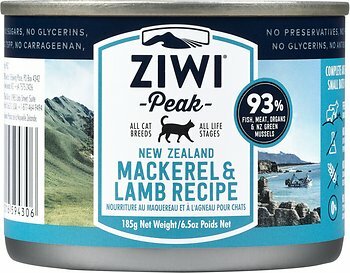 This natural seaweed extract is a great binder and thickener for canned cat food, but it has a bad reputation. Studies have shown that carrageenan creates inflammation in the body and may exacerbate cancer. The best cat food doesn’t contain artificial ingredients. These unnecessary ingredients have been linked to health problems in both animals and humans. Artificial flavors are unnecessary if the food is made with nourishing meat ingredients. Artificial dyes are absolutely unnecessary and have been tied to behavioral issues and cancer development in both humans and animals. BHA, BHT, and ethoxyquin are popular preservatives that are associated with serious problems. Most pet foods have replaced them with natural alternatives including Vitamin E (mixed tocopherols), rosemary extract, and other antioxidants. Although ethoxyquin rarely appears on the ingredient list, it may enter your cat food as a fish preservative. Remember that you’re relying on this company to provide your cat the nutrition they need to stay healthy and vibrant – potentially for the rest of their life. You need a company and a brand that you can trust. The best cat food brands don’t have a dirty recall history. While it doesn’t tell us everything about the brand, a company’s recall history provides key insights into its ethics, safety standards, and the quality of its products. If a company faces voluntary, or worse, mandatory, recalls every five years, purchasing from that company could subject your cat to three or more potentially harmful slip-ups during their lifetime. 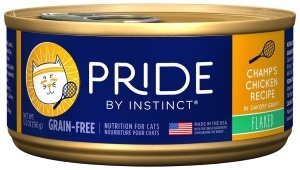 The best cat food brands are transparent and communicative. A communicative, transparent company isn’t afraid to share information with their customers. You can gauge the quality of a cat food company by calling their customer support line. Avoid those that train representatives to dodge questions about their products. The best cat food brands have a history of customer satisfaction. Thanks to the internet, it’s easy to feel the customer pulse. Through social media, blogging, reviews on retail platforms, and sites like Consumer Reports, consumers can easily share their complaints or praises with the world. Read these reviews and use them to assess the customer experience. Natural, Organic, and Human Grade: Are They Meaningless Buzzwords? Until recently, the description “scientifically formulated” was a popular pet food marketing catchphrase. 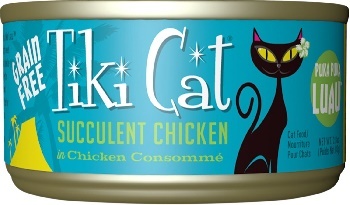 People wanted to imagine their cat’s food formulated by scientists in a sterile laboratory. Today’s cat food consumer has a different ideal. They’re looking for food that’s gently crafted, fresh from the farm, non-GMO, natural, fresh, and based on real meat. Thanks to the back to nature trend, the number of natural or organic cat food labels has skyrocketed. Numerous brands capitalize on the “premium natural food” concept. 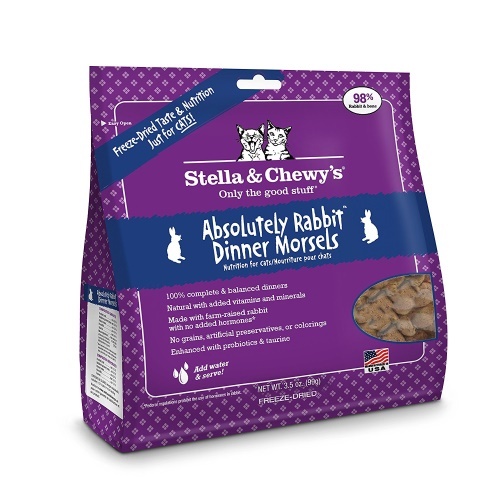 But are they healthy for your cat? The “natural” label is loosely defined and lightly regulated. FDA guidelines dictate that any food bearing the “natural” label must be manufactured without undergoing any chemical alterations. Click here for a list of the best Natural & Holistic cat foods. The organic label, however, has some legitimacy. Click here for a list of the best organic cat foods. The human grade designation relates to the way ingredients are handled rather than the quality of those ingredients. Any ingredient, once processed as pet food, is considered “feed grade”. To earn “human grade” status, pet food must be manufactured in a USDA-inspected human food processing facility and transported in trucks used for human food consumption. In other words, human grade food isn’t necessarily better than feed-grade food. Premium and ultra-premium food may be an excellent choice and it can also be mediocre. Do your research and make your own decision. Are prescription diets good for cats? There is no law saying that prescription foods can only be sold with a veterinarian’s prescription. They are not drugs or medication. They’re just food. In many cases, prescription foods are perfect for the condition for which they’re marketed. Some prescription cat foods, however, are no better than the average food sold on a grocery store shelf. A particularly ironic example is prescription dry food for urinary tract health. Because dry food can promote urinary tract disease, this marketing slant adds insult to injury. 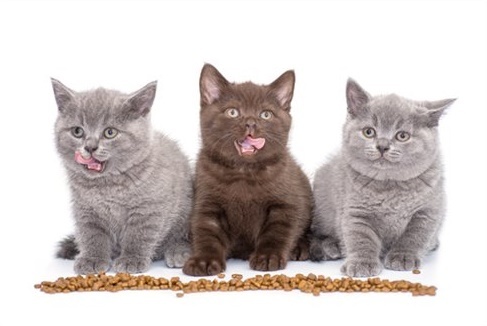 We can break down the cat food world into five fundamental segments. These are wet cat food, semi-moist cat food, dry cat food, raw cat food, and home-cooked cat food. Let’s take a closer look. When we talk about wet food, we’re referring to any commercially-sold, moisture-rich food that has been heat processed. As a general rule, these foods are higher in animal protein and contain fewer plant ingredients than do dry foods. Across the spectrum of nutritional excellence, one metric remains steady. All wet food is moisture-rich with 70-85% water content. Hydrating food is essential to your cat’s health. Click here for a list of the top 10 best canned, soft, and wet foods on the market today. During WWII, metal rationing left pet food manufacturers almost canless. The companies were forced to find a way to make pet food without dipping into their metal rations. Dry food was a solution to this problem. Instead of sitting in a can, the food was dehydrated, then packed in a war-friendly box. Dry food is both economical and convenient in a way unparalleled by any other type of cat food. For one, it’s cheap, in part because it’s made with a hefty concentration of cost-effective plant ingredients. Secondly, it has a very long shelf life and it’s safe to leave it in a bowl for hours on end. But dry food has serious problems. With a maximum water content of around 12%, dry food has less moisture than the average popcorn kernel. Even with increased time at the water bowl, cats don’t drink enough to thrive on a dry diet. It takes more than seventy years to change a low thirst drive that took thousands of years to evolve. Cats who eat dry food are often chronically dehydrated, causing issues throughout the body, including kidney failure and lower urinary tract disease. Additionally, dry food requires starch to bind the kibble, necessitating higher carbohydrate content and more plant protein. If you’re still interested in feeding your cat dry food, here’s a list of the best dry cat foods. Semi-moist food has the texture and shape of soft, chewy kibble. Once a relatively popular type of cat food, semi-moist food has fallen out of favor. Pet guardians shy away from its high sugar content and its tendency to include the sweet-tasting humectant propylene glycol. The natural feline diet consists of whole animal bodies. Because this combination of raw meat, organs, and bones contains all of the nutrients and amino acids necessary to sustain life, the cat can survive on fresh animal tissue alone. It’s difficult to recreate the whole prey diet without added supplements and plant ingredients, but these additives usually exist in smaller amounts than found in traditional wet or dry food, making it a close approximation of the ancestral cat diet. Freeze drying is a low heat processing technique that kills pathogens and preserves the food. Freeze dried food has a long shelf life and is safe for people and cats to handle. While it kills what you don’t want in your cat’s food, this process leaves natural enzymes intact and doesn’t alter the nutrients that are so beneficial to your cat’s health. Click here for a list of the best raw cat food. This is the type of raw food most often found in pet specialty stores. It’s most often available as frozen patties or frozen chunks. It takes some of the effort out of creating a batch of fresh raw food, but demands an equal level of attention to cleanliness. When you prepare your own raw cat food, you gain the ability to control exactly what goes into the recipe. Making homemade raw food involves some planning and research, so it’s often a daunting task. The process involves using raw meat, organs, bones or a bone substitute, along with supplements to create a balanced facsimile of whole prey. Raw feeders call this “Frankenprey”. 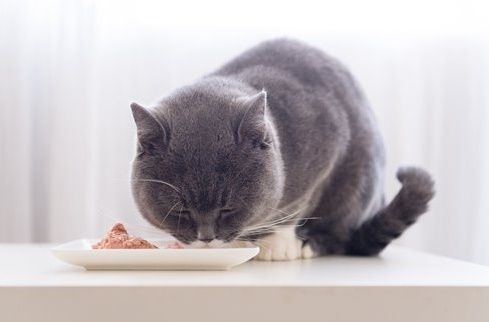 For those who seek greater control over what goes into their cats’ bodies, there are few better options than homemade cat food. 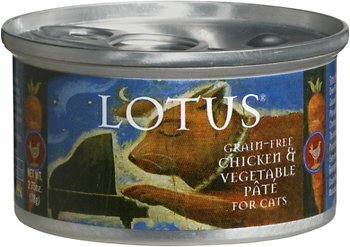 This type of food is excellent for cats with allergies, finicky eaters, or those with food sensitivities. It’s the same thing as homemade raw food, but the cooking process helps to alleviate hygiene and safety concerns. As always, it’s important to do your due diligence and choose well-researched recipes to avoid nutritional imbalances or inadequacies. Now that we’re familiar with the qualities of the best food and know about the different types on the market, let’s learn about how to choose the best foods for your individual cat. 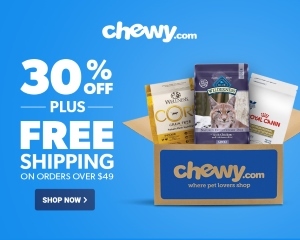 What’s the best cat food meal delivery service? If you don’t have the time to prepare fresh cat food at home, you might consider a cat meal delivery service. Just as services like Blue Apron and HelloFresh allow you to simplify mealtime without sacrificing quality, cat meal delivery services take the time commitment out of feeding your cat well. While there are a few well-established dog meal delivery services, businesses who cater to cats are relatively rare. 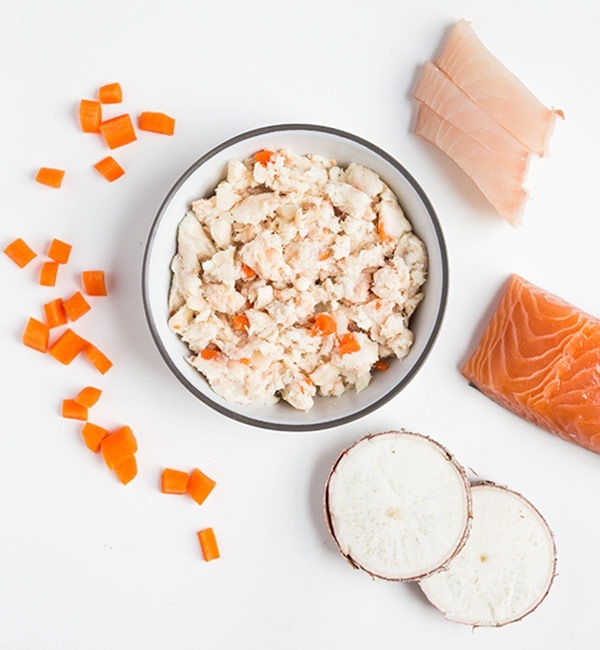 The best one we know of is NomNomNow, which makes human-grade, homemade-style cooked meals, portions them out according to your cat’s needs, then delivers them fresh (not frozen) according to a monthly or weekly schedule. What’s the best hypoallergenic food for allergic cats? 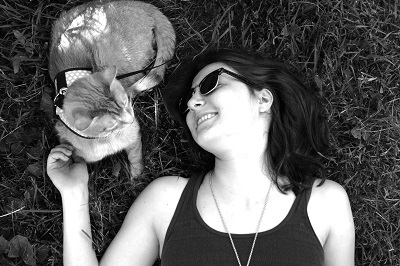 Choosing foods for an allergic cat is a highly individualized process. Naturally, the best food for an allergic cat is one that excludes problem ingredients. Limited ingredient diets are a useful part of an elimination diet and can also help you to avoid known allergens. When shopping for an allergic cat, it’s crucial to avoid vaguely-specified ingredients. Opt out of any formulas including animal by-products or rendered meals. 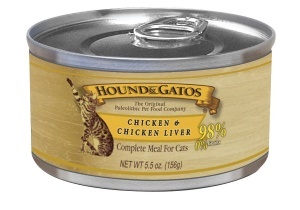 Click here for a list of the best hypoallergenic cat foods. What’s the best cat food for a cats with a sensitive stomach? Some cats suffer from chronic digestive problems. Vomiting, diarrhea, constipation, and even hairballs are manifestations of digestive disruption. Painting all of these problems with the broad brush of a “sensitive stomach” is a failure to recognize the nuanced variety of root causes. These symptoms could be the result of IBD, allergies, or other disorders. Dietary change is often the best way to address problems that fall under the “sensitive stomach” umbrella. Click here for the best foods to reduce smelly poop. This article lists the best cat foods to prevent vomiting. Find the best cat foods to reduce gassiness. Click here for a list of the best foods for hairball control. Click here for a list of the best foods for shedding. Click here for a list of the best foods for constipation. Additional probiotic supplements and digestive enzymes can also help to encourage good digestion and a happy stomach. If your cat suffers from food allergies, an elimination diet can help you to identify the trigger foods. Once you’ve established the cause of your cat’s allergies, you can choose a limited ingredient diet or one excluding the problem ingredient. Is grain free and gluten free cat food better? We shouldn’t be short-sighted enough to believe that eliminating grain is enough to avoid the problems of feeding cats species-inappropriate foods. Cats don’t need to avoid grain or gluten. They simply need to avoid excessive carbohydrates. Grain-free foods often replace the grains with an unhealthy dose of biologically inappropriate ingredients like potatoes and peas. Gluten-free food represents the same principle. Most cats don’t have gluten sensitivities, but all cats thrive on a low-carb diet. Therefore, while gluten-free food is ideal, gluten isn’t the problem. Note that, because gluten is a protein found in wheat, barley, and rye, any grain-free food is also gluten-free. What’s the best cat food for cats with diabetes? While all cats have ineffective carbohydrate metabolism, diabetic cats have it even worse. Glucose isn’t effectively metabolized and instead moves into the bloodstream. This is why it’s a good idea to feed diabetic cats a high protein, low carbohydrate diet. Compared to cats with a healthy weight, overweight cats are 4X more likely to develop diabetes. This is one reason to ensure that your cat maintains a healthy weight. 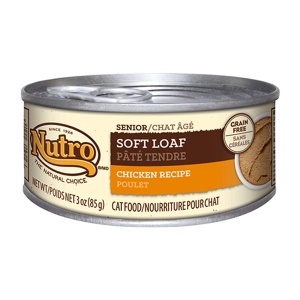 What’s the best cat food for senior cats? As the biological availability of protein decreases, the amount of metabolic waste increases, placing excessive strain on the organs. This is why senior cats and those with kidney disease or chronic renal failure are often advised to switch to a low protein diet. High-quality protein, however, doesn’t stress the organs and honors your cat’s biological needs. It can also help to manage the muscle wasting often seen in elderly cats. Excellent quality protein is one of the best things that you can feed your aging cats. Senior cats should eat food that’s rich in high-quality protein from animal sources. Click here for a list of the top 5 best senior cat foods. 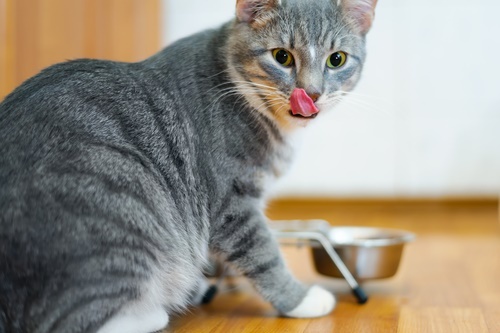 What’s the best cat food for urinary tract health? The general consensus among veterinarians, nutritionists, and other experts is that high-moisture diets are the best choice for feline lower urinary tract disease prevention. Depending on the cause of the urinary tract disease, cats may thrive on a diet made to control struvite or calcium oxalate crystals. In short, choose a food that’s not dry, even if it’s a prescription formula for urinary tract health. Emphasizing the link between dry food and FLUTD, one study published in a 2011 edition of the Journal of Feline Medicine and Surgery showed that of 82 cats with urethral obstruction, 83% consumed dry-only diets. The remaining cats subsisted on a combination of dry and wet food. None of the patients had a 100% wet food diet. Click here for a list of the top 5 best Urinary Tract Health cat foods. 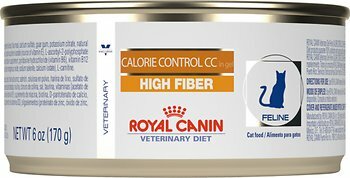 Is high fiber cat food a good choice? Fiber can help to normalize stool consistency. If your cat has diarrhea, added fiber can help to bulk it up. Constipated cats can also benefit from added fiber. Because fiber increases satiety, high fiber food is also sometimes recommended for overweight cats. What is the best type of diet cat food for overweight cats? Overweight cats are often prescribed low-fat, low-protein diets. While this type of food can encourage weight loss, it often does so at the expense of muscle density. To maintain healthy muscle density, it’s important to maintain a hearty protein percentage while cutting back on carbohydrates and potentially reducing the amount of fat in the food. Free-feeding is the enemy of weight loss, so any overweight cat should immediately switch to eating at least two meals each day. Portion control is essential. Water increases the bulk of the food without adding calories, helping to keep your cat full throughout the day. Click here for a list of the top 5 best cat food for overweight cats.